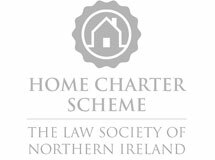 Our criminal defence solicitors have extensive experience representing clients in Magistrates Court and Crown Court cases throughout Northern Ireland. Being accused of a criminal offence or being questioned at a Police Station can be a stressful time for any person, often when they are at their most vulnerable. It is important that you receive the right advice and speak with a solicitor at the earliest possible opportunity. Appearing at Court is a stressful experience for any person. It is important to know your options, whether it is possible to avoid going to Court and to get the best possible outcome for your case. It is always best to speak to a solicitor about your case as soon as possible. We provide advice and assistance for legally aided clients and fee paying clients. All clients attending a Police Station for interview are entitled to legal advice free of charge.